Once I have seen these cookies formed into falcate shapes called as Mexican Wedding Cookies. I think there isn’t much of a distinction in ingredients. But maybe the sugar to nuts ratio is a bit different. The Mexican Wedding Cookies contain less sugar and more nuts. 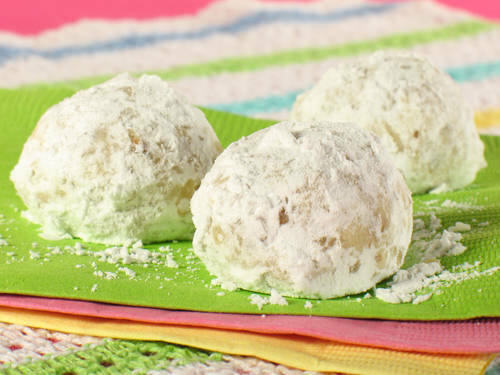 These marvelous cookies are made from a cup of powdered sugar, almost a full cup of nuts, and a cup of butter, so they are amazingly nutty and sweet. These are usually the first goodies to disappear of the cookie tray at my grandmothers every time when the family comes for the annual Christmas celebration.